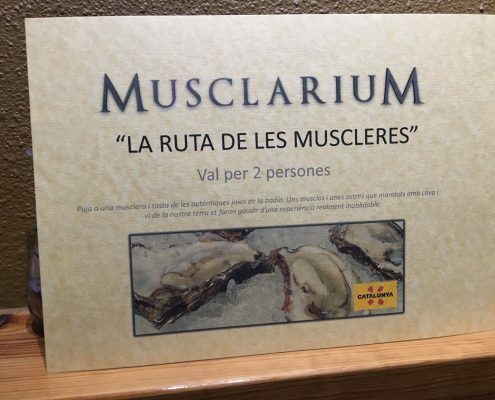 Enjoy an authentic experience at Musclarium with mussels and oysters accompanied by local wine and cava that will make your day unforgettable! You can learn first hand how we cultivate and produce our delicious product. Our personnel will explain the history of our cultivation which is unique in our territory. You will also get to see our methods. Length of activity: 2 hours. Public: Suitable for all ages. Price: 25€ per person – tax and transport included. 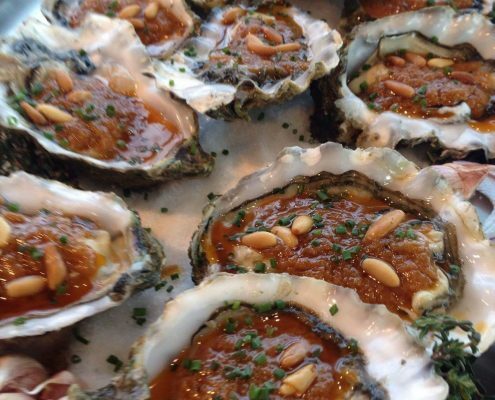 Discover the amazing flavours the bay has to offer! An incredible experience for all the senses! Price includes: food fresh from the bay and transport. Purchase a mussel rope and be informed of how the Gran Reserva mussels grow and produce. This pioneering initiative the Delta has to offer allows people to enjoy and eat their very own mussels. We will select your rope and we will personalize it for you. 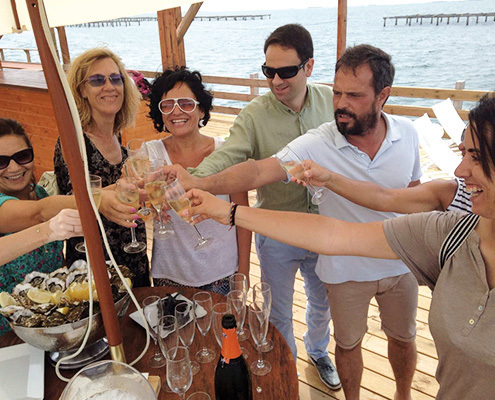 Enjoy and share with friends and family whilst savouring the authentic taste only the Delta del Ebro can offer! The technical Director of Musclarium will chose the best ropes that will cultivate your mussels for nine months. The Musclarium team will take charge of supervising the entire process of production and cultivation and you will be sent constant updates, photos etc via email. When they are ready, they will be delivered to your home.